There’s nothing like a good nutritious smoothie packed full of vitamins and minerals to kick start your day, or to give you a boost in the afternoon. Lately, I’ve really gotten into adding spinach or kale into my smoothies. Spinach and kale are an excellent source of Vitamins A, B-6, C, and Vitamin K. I should also mention that these leafy greens add some major iron, niacin, and folic acid to your diet as well. Oh, and with the other sweet treats I add, like banana and cherries, you can’t even taste the spinach or kale. Nice, right? This is also a smoothie that my vegans friends can enjoy. You’re welcome. Toss all this funky junk into your blender and let the magic happen! 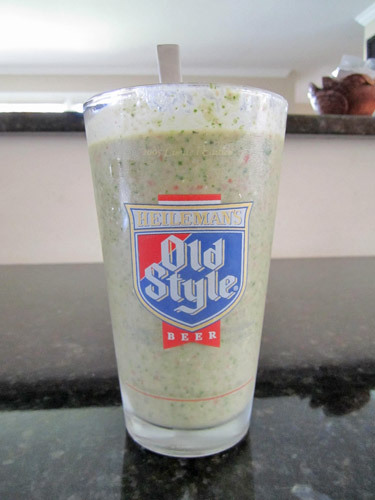 Vegan Cherry Spinach Banana Coconut Milk Smoothie packs a punch of nutrition and sweetness!